Check it out! Joni has decided to put her paper art skills to work. This is her first listing on Etsy.com. Enjoy! 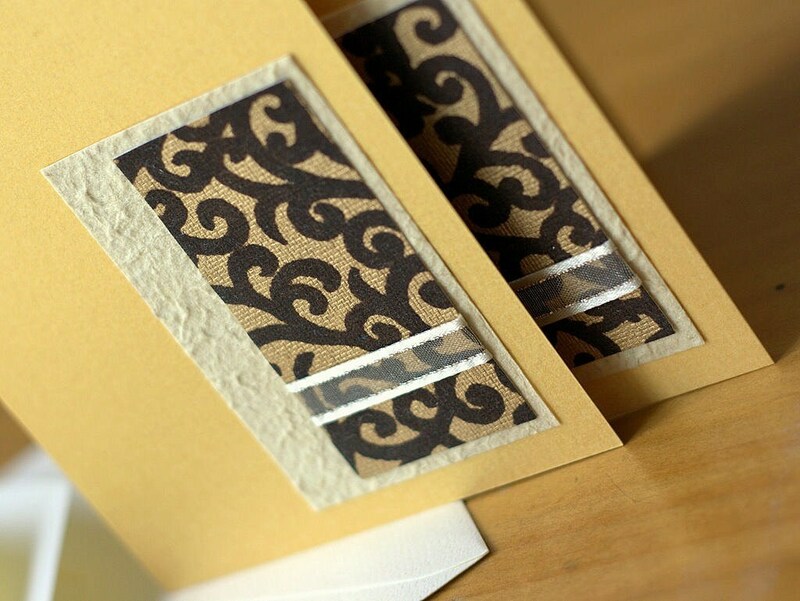 This set of two pearlescent gold cards have been carefully accented with handmade and decorative papers. They would make for lovely matching gift cards, a chic way to say hello, congratulations, or thank you to a stylish friend! The inside of the card is blank, and has been lined with a lightly textured cream paper for easy writing. The lining has been tested with most pen types and ink does not bleed. Cards come with matching cream envelopes. Complementary cards can be made on request, just ask!